Gosh, who would have ever thought Neil Young would come out with a graphic novel? 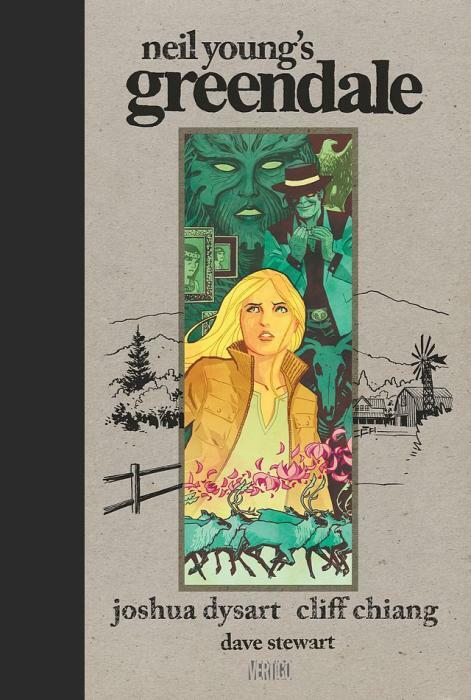 Well, thanks to Vertigo, we have Neil Young's Greendale, a graphic novel based off of his 2003 album Greendale. The album has been described as a musical novel of sorts, speaking "to the power of environmental, social and personal responsibility that each and every one of us living on this planet shares," according to Vertigo. Written by Joshua Dysart and illustrated by Cliff Chiang, the story centers on a young woman, Sun Green, and on the fictional Californian seaside town of Greendale. Sun Green has a strange supernatural relationship with nature, one that almost always turns tragic. The story is relevant to today's environmental crises (the oil spill comes to mind), but stands on its own as a widely vivid and poignant tale. Could you expect anything less from Mr. Young?